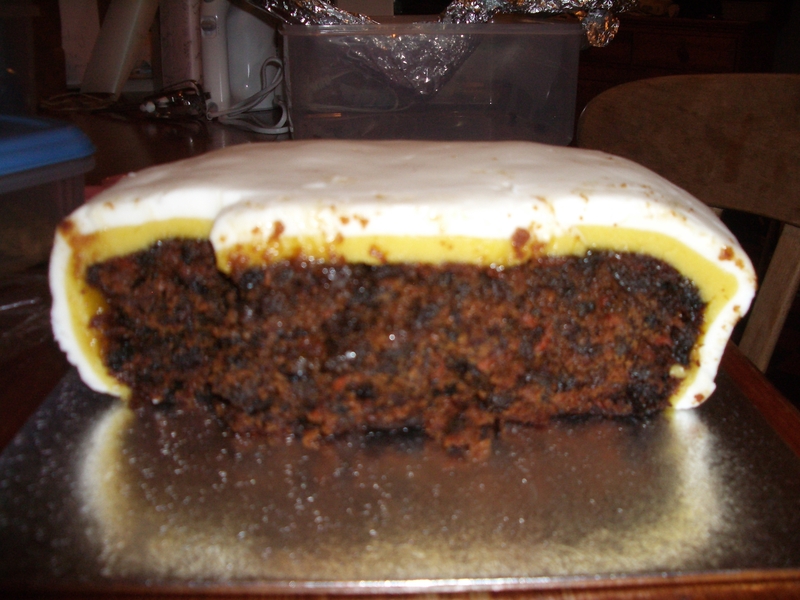 Apologies to all and thank you to Eloise for reminding me about the Christmas cake – here is a photo of the finished cake – or at least the part I haven’t eaten yet! I’m hoping it will last a while yet. One of my friends makes hers last until November, when it is time to make another one! How long do your Christmas cakes last? It lasts until NOVEMBER???????? No way! Mine gets eaten each day, one or two chunks each time until the last crumb passes my lips about . . . . . . . .oh, at least 2 weeks later!